Beautiful lake rental cabin for your lakeside vacation. 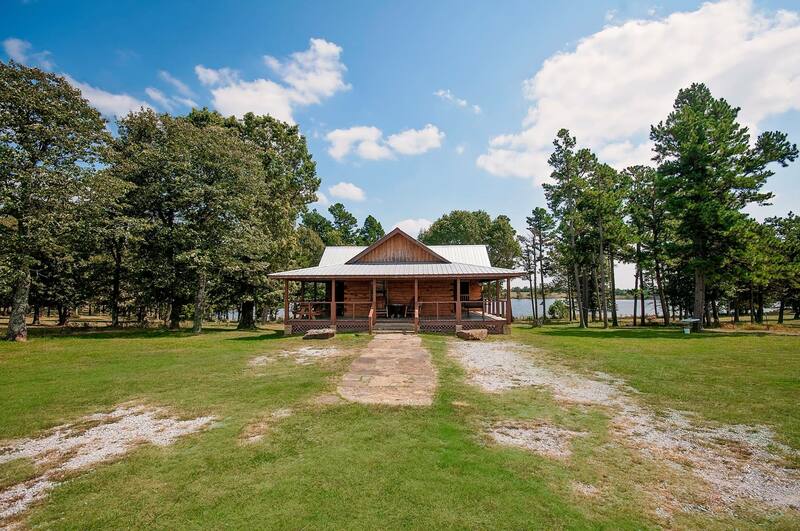 Fenced and gated 365 acre outdoor paradise includes 22 acres of water and ONLY 1 CABIN. Lake lodging at it's finest. will be appreciated by all anglers. 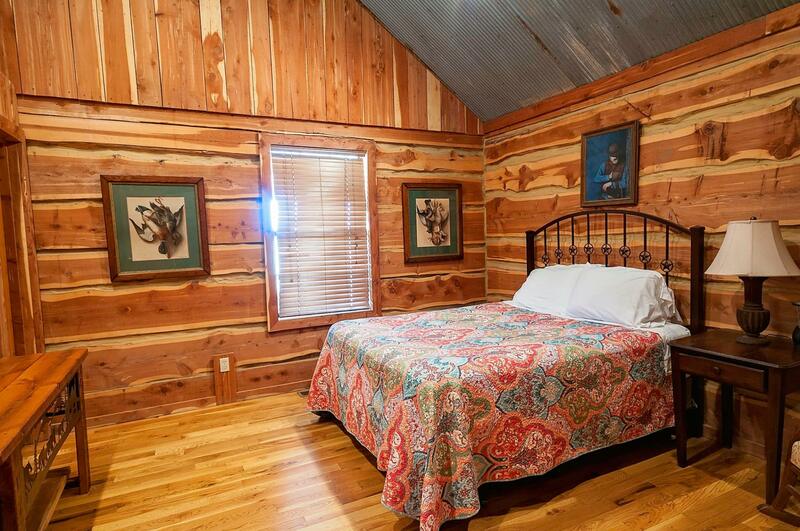 Warm, rustic interior decor throughout The Lake House invites total relaxation. The Lake House cabin's roomy kitchen and cozy dining area feature ample accomodations for any family or group. This vacation home away from home includes refrigerator, stove, microwave, coffee maker, basic kitchen utensils, dishes, and linens to make everything easy. A roaring fire in the beautiful hand-crafted fireplace can create the perfect atmosphere for romantic getaways or happy family gatherings any time of year. 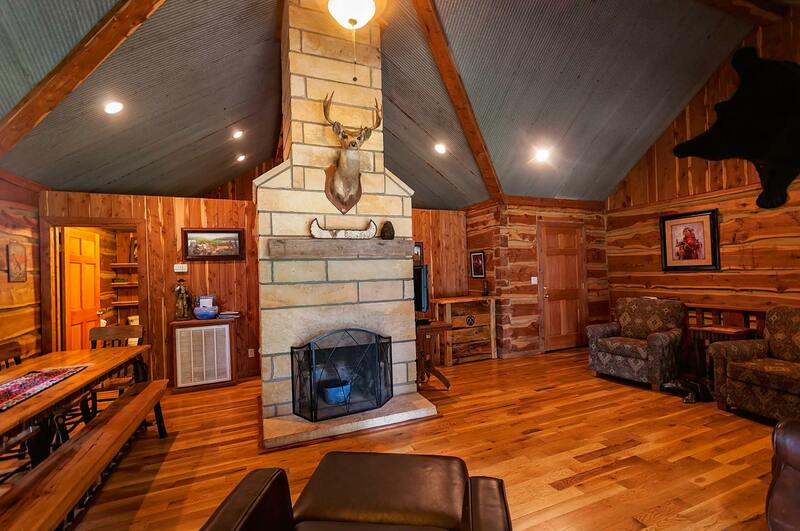 Rustic comfort makes an Arkansas mountain or Branson lakes vacation great in any weather! Just a few steps through a peaceful grove of trees takes you from The Lake House cabin to the lakeshore. 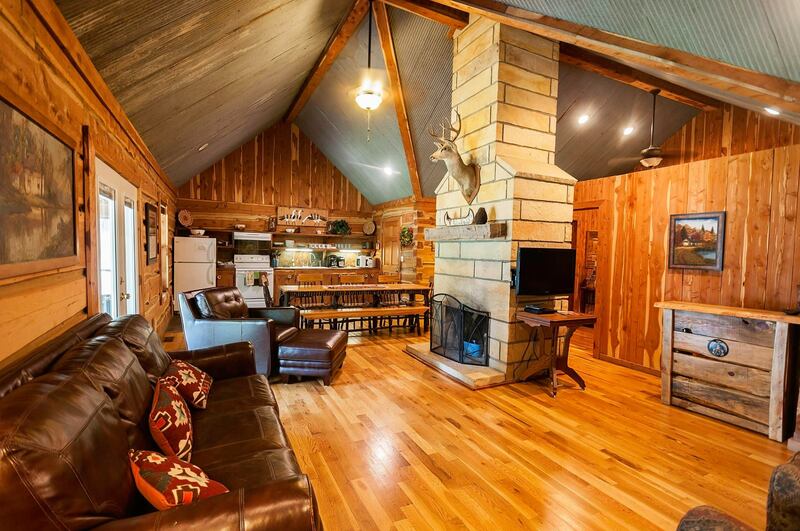 Beautiful cabin + mountains + lake = #1 vacation spot! Unique Double-Decker screened porches give wide angle view of pristine lake shore. What a perfect place to enjoy the natural beauty of the NW Arkansas/SE Missouri Ozark Mountains! a fully screened in porch from the walk-out basement. You can watch wildlife and every kind of wild song bird come to the fish-filled water for a drink while you sip your morning coffee. The screening keeps out the bugs, but lets in the lovely lakeside breezes. You are welcome to bring your own ATV four-wheelers and explore all you like. Small boats and canoes are welcome, too. 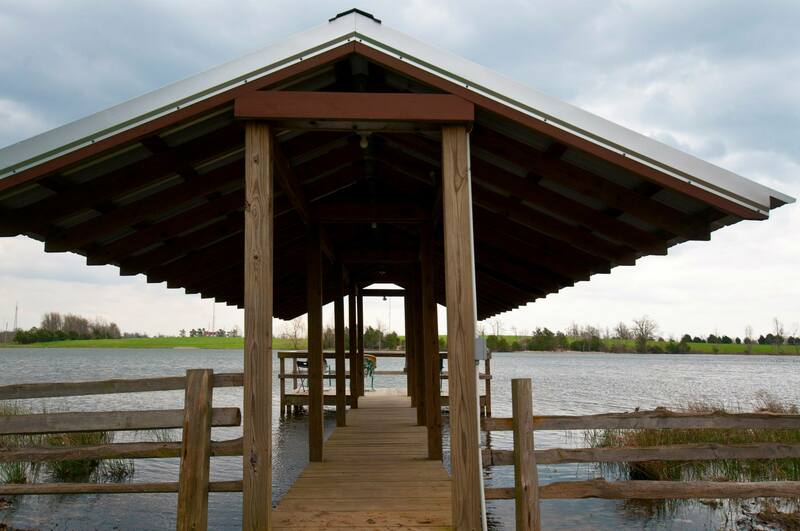 We want your vacation at the Lake House rental cabin to be your BEST vacation EVER! 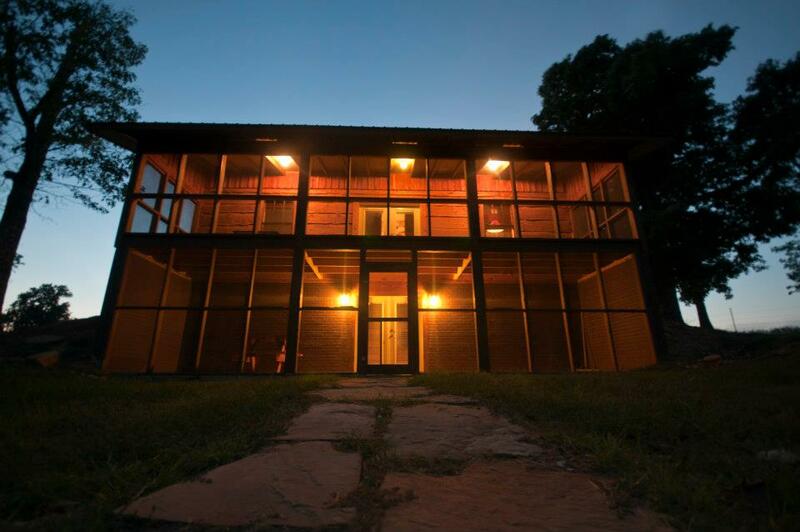 Click Here for details of this complete vacation for rent pakage.None of the vacation packages in Missouri can beat this one for good old-fashion outdoor family fun.